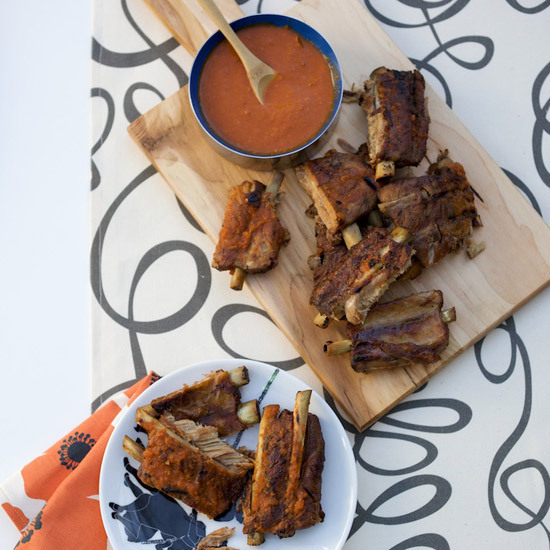 The cooked ribs can be refrigerated in their braising liquid overnight and reheated gently before grilling. The sauce can be refrigerated for up to 1 week. Beer: Fruity, rich Belgian-style pale ale: 2010 Goose Island Matilda.